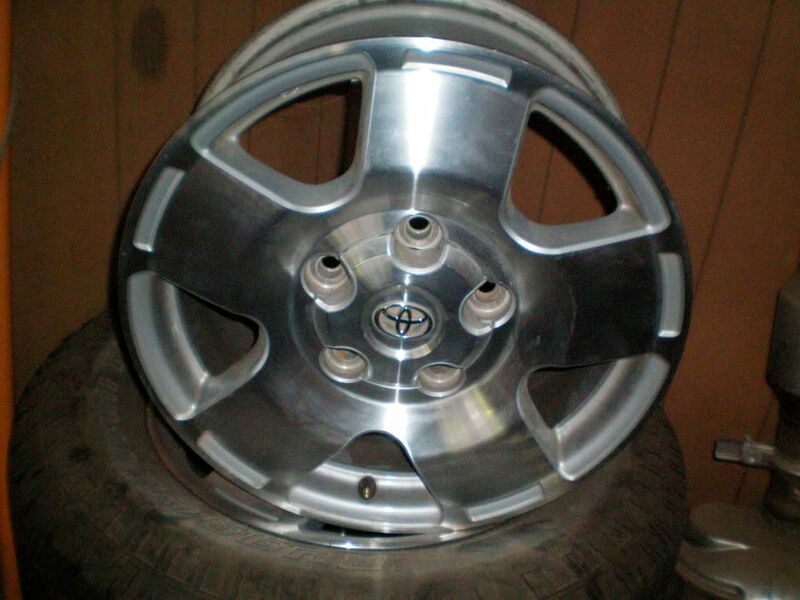 I'M TRYING TO SELL MY OEM WHEELS AND TIRES OFF OF MY 2007 TUNDRA SR5. WHEN I INSTALLED MY LIFT I TOOK THESE OFF WITH 18,000 MILES ON THEM. ALL SEVEN PIECES ARE IN GREAT SHAPE AND HAVE NO DEFECTS. IF YOU ARE INTERESTED PLEASE LET ME KNOW AND I WILL E-MAIL YOU SOME PICTURES AS I CAN'T SEEM TO FIGURE OUT HOW TO POST THEM ON HERE. IF SOMEONE WANTS TO MAKE AN OFFER I AM WILLING TO NEGOTIATE. 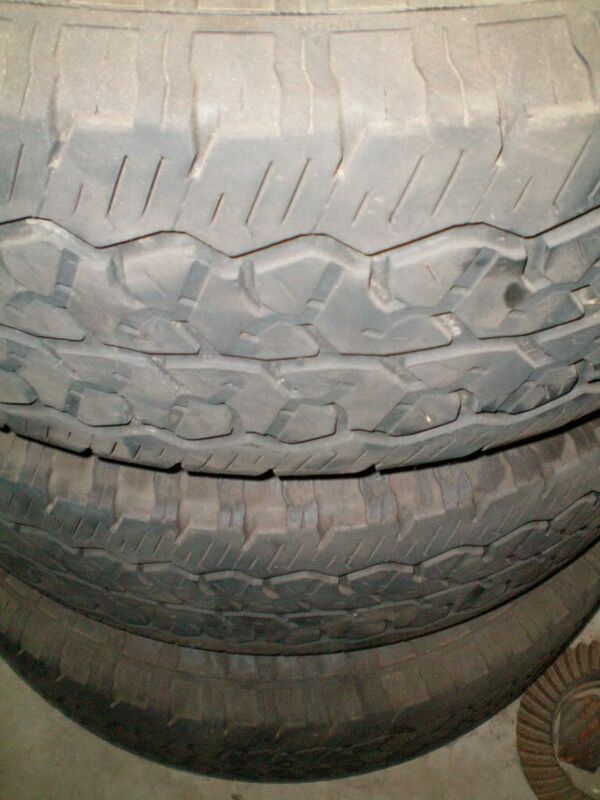 I also have a set of Bridgestone Duller take offs that will be for sale mid-December. Less than 2500 miles usage. They are the style pictured in my signature - no scuffs/scratches whatsoever. Center caps and lugs will be included. Once I swap, I will know if they have TPMS in it as well. PM me with an offer! 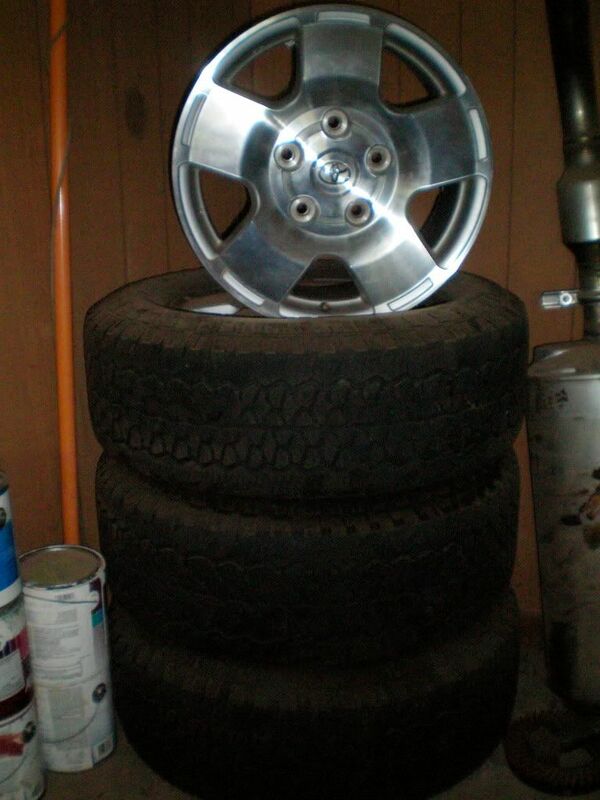 I will also have an additional set of the same wheels, no tires if interested. I'm Trying to up Grade I Will let u Know whats your Best Cash Offer? Because by the pics The wheels Dont Look in That Good of Shape.. I'm taking any offers right now. I just need these out of the garage. The wheels are actually in really good shape they are just covered in dust right now from sitting in the corner of the garage. Just let me know what you think and thank you for at least taking a look at them.